Augen design undertook the detailing and creation of this one off custom made residential balcony enclosure. 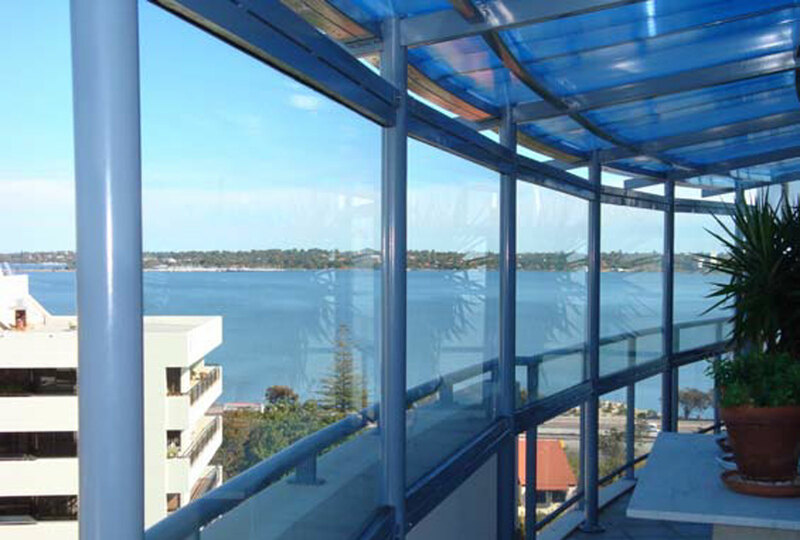 The unique enclosure was created for a high rise apartment where the afternoon sea breeze made the balcony almost unusable. The project incorporates Sunpal multiwall polycarbonate sheets, aluminium supports, and glass. Augen were able to successfully install the components as a meccano kit, overcoming the hindrance of small elevator which limited the sheet sizes and lengths of supporting structure. The enclosure does not hinder the views from the apartments and shields the tenant from the high winds, whilst being an eye pleasing improvement to the apartment.